There have definitely been a few moments I found uncomfortable. On the other hand, getting to blow the heads off bad men almost makes up for those feelings. It is a truly beautiful game if a bit repetitive but then choosing to kill everyone with a bow and arrow just because… helps break up the monotony. Because you can’t have too many Gnolls! (especially cute ones with button eyes). On a slightly related note, wouldn’t these chaps make wonderful balloon mini pets to float around after us. The idea of men searching for the perfect mate and then having to resort to building their own is ancient one. As we search through literature, it’s a concept we encounter time and time again and now it’s found it’s way into WoW. When Pygmalion saw these women spending their lives in criminal pursuits, shocked at the vices which Nature had so plentifully imparted to the female disposition, he lived a single life without a wife, and for a long time was without a partner of his bed. In the meantime, he ingeniously carved a statue of snow-white ivory with wondrous skill; and gave it a beauty with which no woman can be born; and then conceived a passion for his own workmanship. The appearance was that of a real virgin, whom you might suppose to be alive, and if modesty did not hinder her, to be desirous to move; so much did art lie concealed under his skill. Pygmalion admires it; and entertains, within his breast, a flame for this fictitious body. Sound familiar? Well if you’re been following the discussion on the Thunder King’s most precious possessions, the Twin Consorts, it should. Players who look closely at the models of these celestial twins will note that they seem quite literally carved out of stone. Indeed, these were specifically created by Lei Shen and empowered to serve and guard him, and they are a direct reflection of his will rather than any broader sense of mogu culture as a whole. To say Blizzard handled this badly would be an understatement. A fairly large and vocal percentage of the community (rightly so) have been protesting about the lack of female models for more than half the races for years and once again, Blizzard fell head first into the trap. However I’m not going to go into that because Nyxrinne, Apple Cider and Navimie have already covered it. What I want to talk about instead is the missed opportunities Blizzard have let saunter past them once again. Stories don’t exist in a vacuum and with games like WoW, Blizzard have the perfect opportunity to drop hints and clues long in advance. We know from the various quests that MoP launched with that the Thunder King was always going to be brought back so far more preparation could have been done. We also know that the Mogu themselves came from stone, brought to flesh and blood by the same curse which gave us Gnomes (basically it’s all the Old Gods fault!). Their ancient research delivered to them methods of turning flesh to stone, and back again. Lifeless rock could be animated, providing a willing (or unwilling) soul could be captured within. 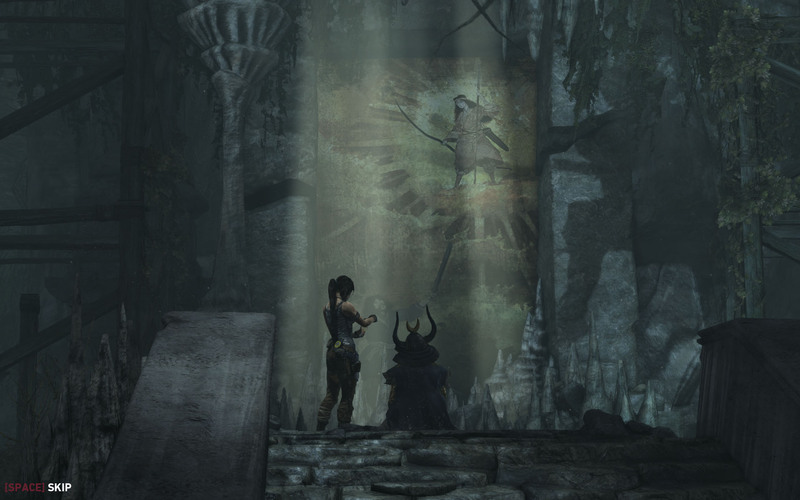 These dark rituals created the Stoneborn, soldiers of jade and dark magic forged from the living essence of conquered victims. 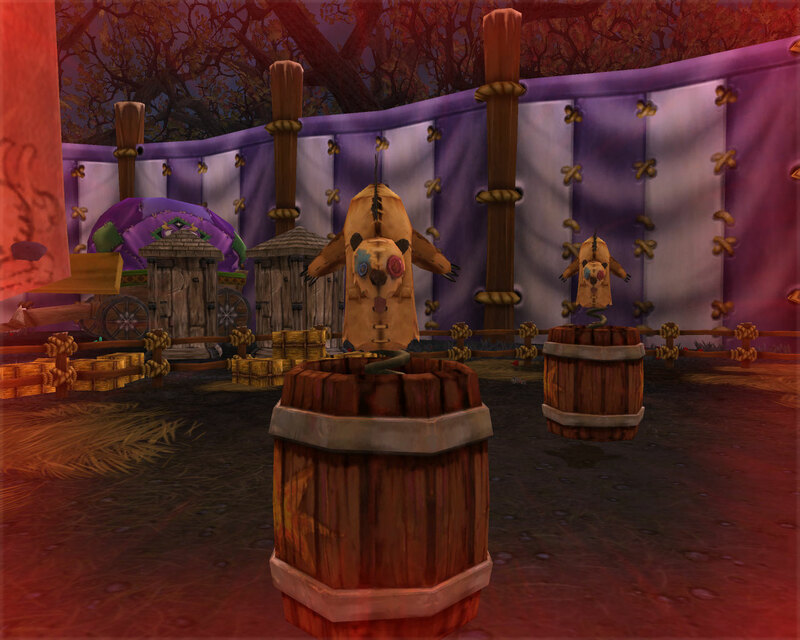 These creations were powerful… terrible to behold, and above all else, one hundred percent loyal to their mogu masters. (from Wowpedia). 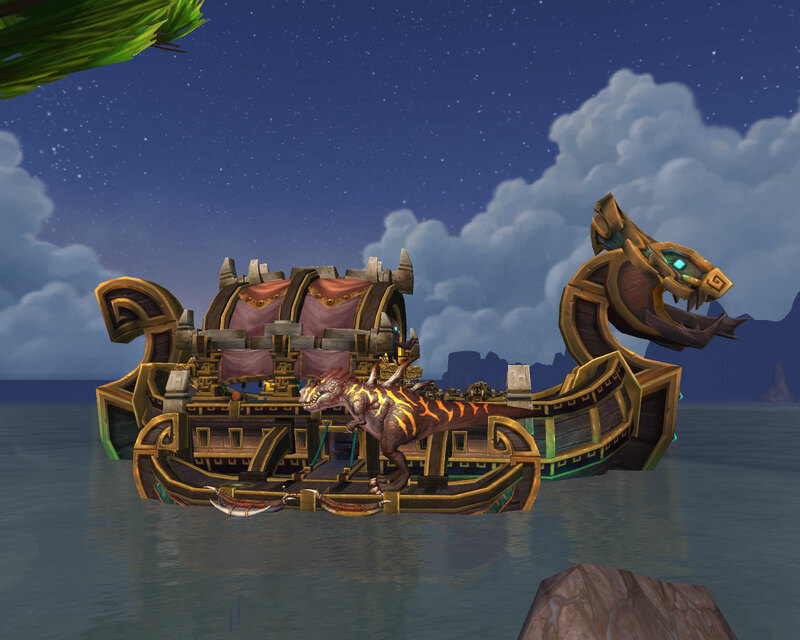 There are a number of potential avenues that they could have utilized, archaeology, the Lorewalkers faction and of course the storylines on the Isle of Thunder itself. 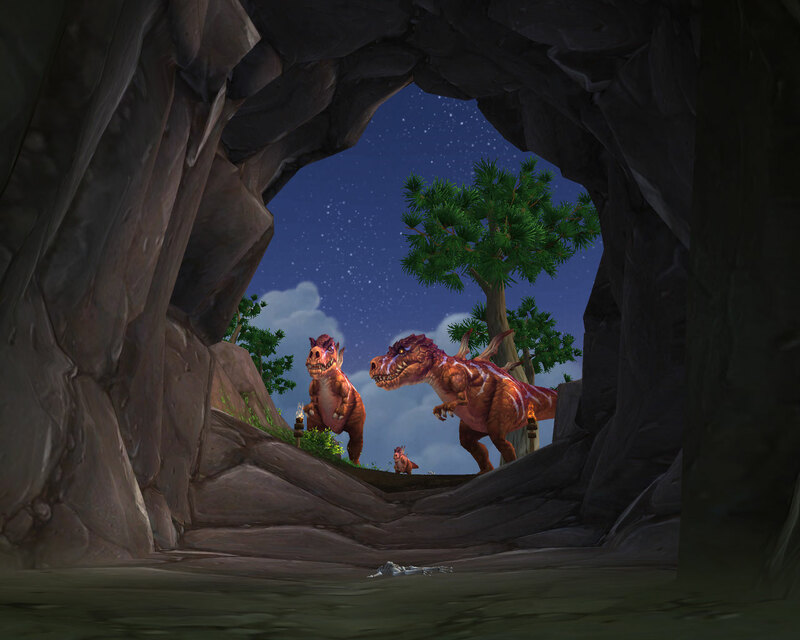 Archaeology has a Mogu branch but there is no mention of the Twins in any of the artifacts which given that they are meant to be pride and joy seems strange. Adding twin fans, one of anger and one of solitude which needed uniting to create perhaps a boe blue fist weapon set would have been a nice touch. Even a grey item, perhaps a painting of the sun and the moon with flavour text implying it represented the Thunder King’s greatest treasure would have been a start. Even by mogu standards, Emperor Lao-Fe was a monster among beasts. His favored punishment among pandaren slaves was to separate families. Slaves who displeased him would have their children sent to the Serpent’s Spine, to suffer and die as fodder for the mantid swarms. This was the fate that befell a young pandaren monk named Kang. Kang was so grief-stricken over the loss of his cub that he chose to wear all black. In a moment of clarity, he saw the mogu overlords for what they were: weak. Re-writing that to suggest the origins of these two female Mogu would have worked. 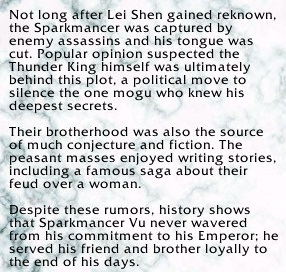 Perhaps Lei Shen surrounded by his wealth and his power with his palaces and his wall was jealous of the relationships between male and female Pandarens. Maybe he watched and listened and finally decided that like the Titans who created his race, that he too could play God. Imagine what sort of punishment for rebellion that would be, forced to watch the essence of your sister or wife forced into silent rock, powerless to save them and then dying at their hands as the Thunder King sits on his throne, his laugh booming through his halls. As one of those little stories told through pictures and the words of Lorewalker Cho it would have worked wonderfully. What a shame then, that this “famous saga” doesn’t seem to have stood the test of time. Of course, this raises all sorts of questions such as if this was prior to the creation of the Twins, what sort of woman did they allegedly quarrel over? Based on everything we know about the Thunder King, it seems unlikely he would have “consorted” with a woman from what he would deem a “lesser” race (i.e. everything which wasn’t his own). The writers could have had so much fun with this, adding extra dimensions to not only the Twins but Lei Shen too. Investing the player base with their story so that when we’re knocking on his door with murder and loot in mind we actually know why we’re there. Of course, it would be easy to argue that Blizzard tend not to invest time in creating a back story for many if any of the interim bosses in a raid instance so why should these two ladies be any different? I’d like to think they shouldn’t be and that Blizzard should be using every opportunity they can grasp to both answer questions and create new ones in the minds of the player base (at least those amongst us who actually read flavour and quest text). We should know the story behind each and every of the bosses we encounter as we slice and dice our way across the continents. Surely that’s the whole point of grey items, archaeology and lore. Instead though, Blizzard decided that a few quick lines explaining “everything” would suffice. Of course that’s ignoring the fact that we’re back to the whole “Madonna” and “Whore” thing again, the soft sad serene sister who clearly isn’t happy killing people and her angry twin who appears to glorify in it. The women in WoW don’t seem to come in any other flavours other than victim or mad. What they really need is Carol Anne Duffy writing the lore for them. Like Webster, I’m rather obsessed with death. I love the dark and all that crawls in it, am drawn to Halloween and overly fond of skeletons. 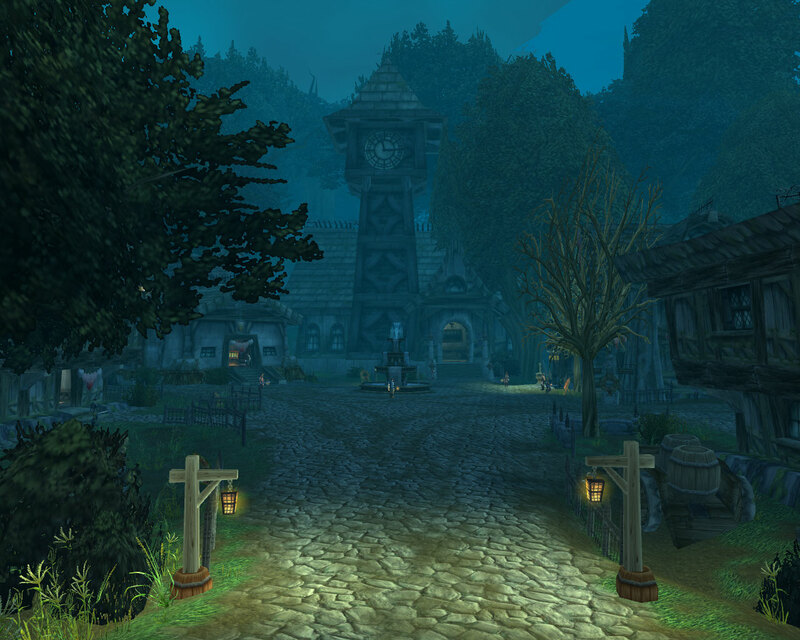 Thus is probably comes as no surprise that all my Alliance characters level through Duskwood, the closest the Alliance comes to a properly creepy zone. Not only does Duskwood have some of the best rare spawns, it also has some of the most engaging and interesting quest chains. Whenever I’m passing through, I pop up to Beggar’s Haunt to see if the Unknown Soldier is meditating on his own tomb. Despite the eyes gleaming from the undergrowth, I can find peace in amongst the trees and shadowy nooks. 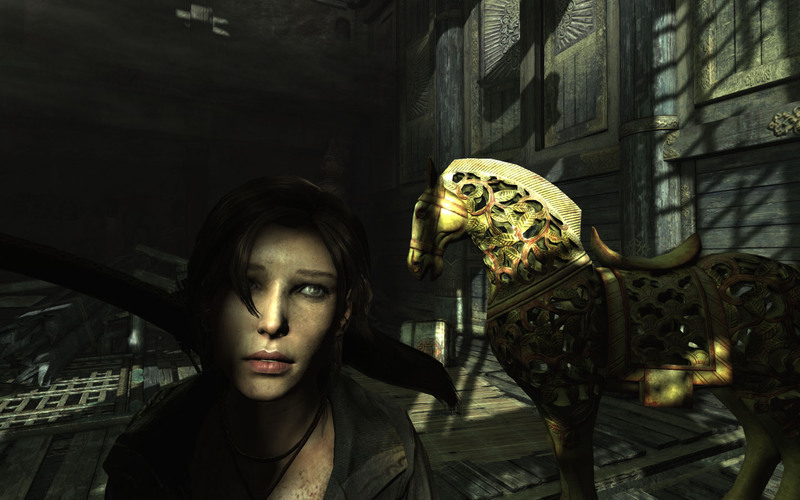 Over all though, it’s the flow of the quests and the little details which draw me back time and time again. 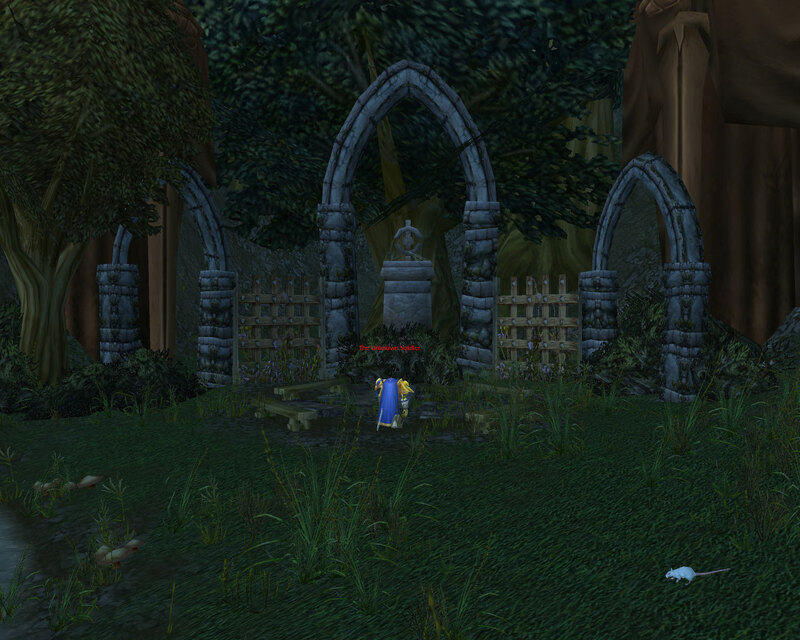 From everyone’s favourite sneaky Undead pausing by his own tombstone to the way in which the quest chains play out, Duskwood has it all. 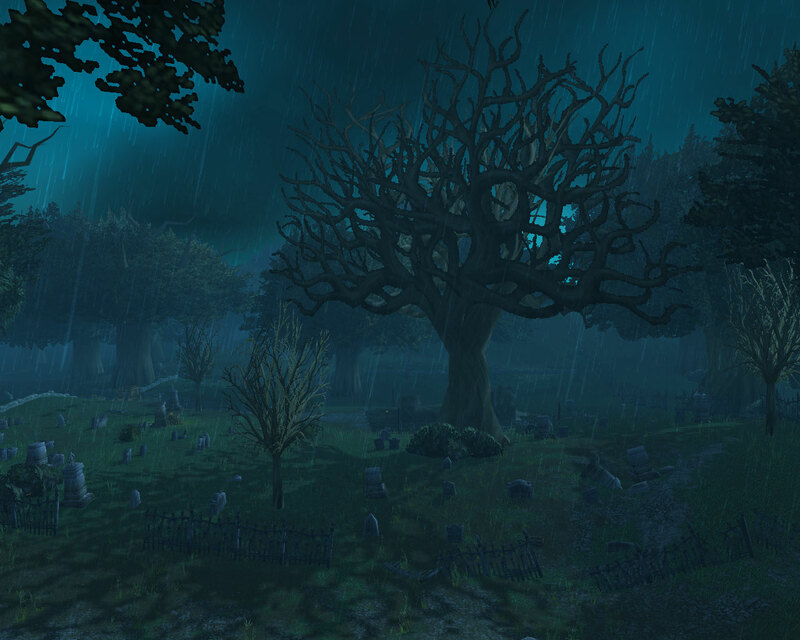 Sadness, spookiness, Worgen quest givers in a setting which makes sense, revenge and murder… who could ask for more. If I had to live anywhere in WoW, taking rooms at the Scarlet Raven would be a distinct possibility. After all, I doubt it would ever be boring. Ignoring the whole “What.. more dailies” thing, I love the look of the new zones. You can’t go wrong with Dinosaurs, especially nasty sneaky heavy hitting big teethed ones. 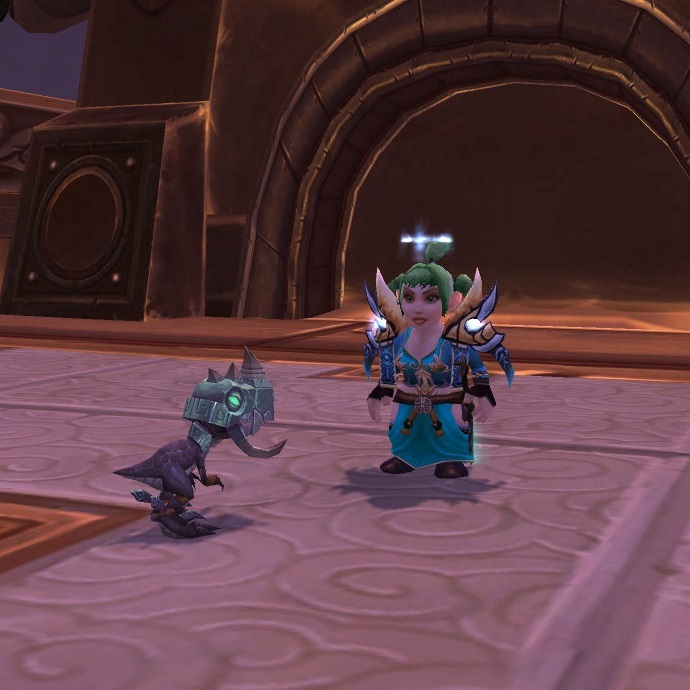 However it’s the new mini-pets which excited me the most, after all with names like those, they belong with a Gnome. So the first thing I did on patching the game was head straight north through Kun’lai Summit for the Isle of Giants. 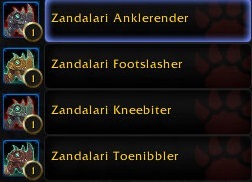 It took us around an hours worth of farming to net all four for me and a second Anklerender for Mr Harpy. Whilst running around (mostly away from things with big teeth), we came across a rather nice Dwarf who sold us an Intact Direhorn Hide. 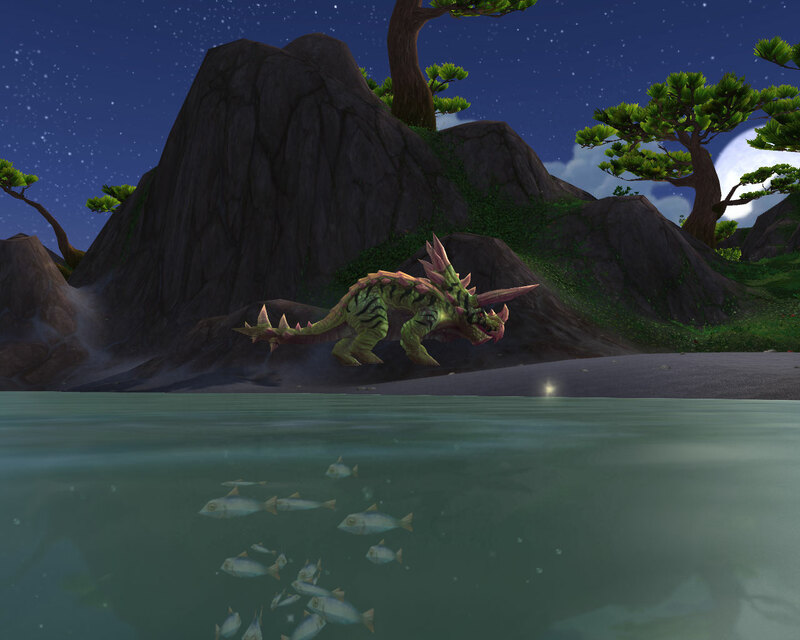 I love these disguise type items and whilst it’s a shame you can’t cast whilst transformed, you can at least have fun levitating across water as a Dinosaur. Sprout and her new best friend, coming soon to a battleground near you! Day 1 and Day 2 Your first day pet battling & What pets don’t you like and why? Navi put up a list of pet battling questions and despite my semi hatred of pet battles, I couldn’t resist taking part. (Yep, I’m a sucker for lists). Day 1: Your first day pet battling. Day 2: What pets don’t you like and why? Day 3: Who is your favourite pet? If you could bring it out into the real world, tell me what you imagine you would be doing. Day 4: What was the most epic pet battle/capture you ever had? Day 5: What pet do you want more than any other pet? What would you do to get it? Day 6: What pets have you got in your favourite team(s)? Day 7: Do you use mods? If you could only have one pet mod, what would it be and why? Day 8: What is the stupidest thing(s) you have ever done in a pet battle? Day 9: What is your favourite pet ability? If you could have a pet with your favourite abilities, what would they be? Day 10: Design a pet! What model would your pet have, where would it come from and what abilities would it have? My first ever pet battling experience was on the Beta and to say it was buggy and frustrating would be an understatement of gross proportions. I managed to capture a black sheep and then everything faded to black. However not being one for giving up, I went a-wandering to STV and set about beating up moths (as you do… sorry Matty). Apart from the “incident” when post tame I accidentally moved forward and fell down the whirlpool to my death this went a bit smoother but even so, the whole process left me with a dirty taste in my mouth. The second part of this was a great deal trickier than the first. I don’t really have a pet I dislike, not even the poor little spider egg infested bear. 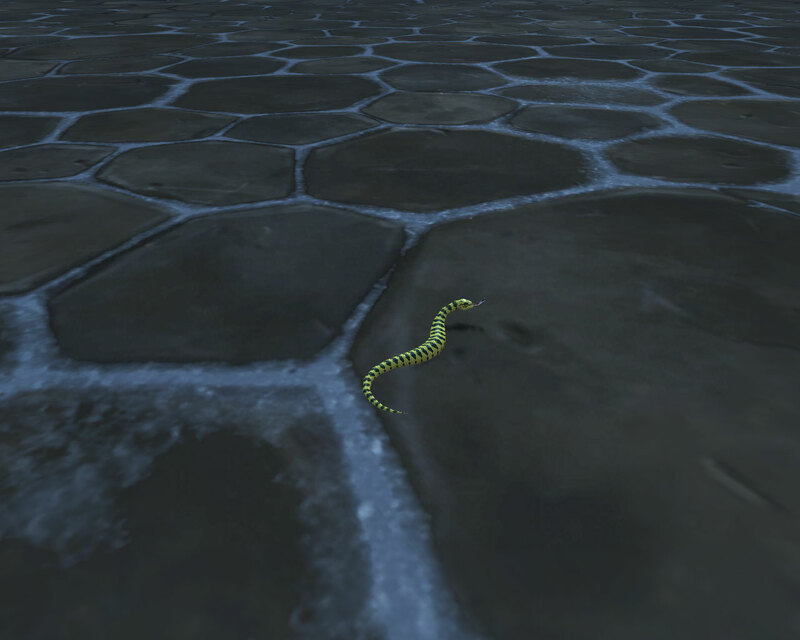 That said, if I had to pick a family of pets that I’ve stayed away from, it would be snakes. Real life snakes, of which I’ve held plenty don’t bother me in the slightest but their in-game cousins I just can’t bond with.